Bangladesh is not a large country at all. There are a few big cities lying across the country. Thousands of buildings of different shapes here in the country have so been built taking no objection certificate from fire authority. The owners of concerned building are passing tough time fearing allegations from concerned authority for having no permission letter regarding fire safety. Expressing with grave concern that, Bangladesh has become the champion in respect of fire incidents that took place from 2010 to 2019, according to sources- Wikipedi. In recent couple of days, fire issue has been the talk of the days everywhere since many lives burnt to death within a few days. Fire is seen to break out in season and out of season and claiming many precious lives. Following this continuous trend, the head of the government has raised voices regarding fire safety for every establishment situated in country's big cities. No compromise would be shown if the buildings take no precautionary measures for fire. The newspapers are being printed with headlines on fire issue. So, the issue has been spread globally. 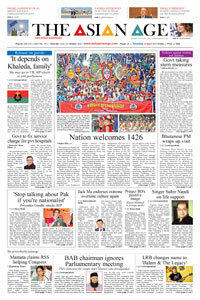 A series of incidents that took place in capital city- Dhaka made the nation frustrated. Now, office goers and business people who sit in the multi-storied building go to respective offices with gloomy face. Sadly, speaking more than ninety percent structure do no maintain building code. Most buildings have no fire safety equipment. Nobody cares fire. Even though , the building approval authority Rajdhani Unnayan Kartripakkha ( RAJUK) has no headache at the loss of lives. Their drive against non-compliant buildings has already started. I think this move should be launched three time a year. Bangladesh Fire Service and Civil Defense authority joined the move to find out loopholes of the built buildings. To my view, such kind of sudden attack on existing establishments situated in Dhaka and Chattogram cities would bring no positive result. Rather, this attack would help the approval authority to be moneyed people. I want to say with emphasize that the concerned official involved with approval desks have to change themselves. They should keep honesty while giving approval of building high rise structures. Truly speaking, most establishments' owners always try to build high -rise structures denying the rule and regulations set by the government. Ultimately, the owners do this to become rich over the night. Premature death due to fire incidents is on the rise for only owners' over cunning and nothing else. Hundreds of people are being roasted while working at the workplaces. There was no move from state side against this continuous trend. The rulers become conscious immediately after the fire catches. Those who violated building codes have to be produced them before law and order to avoid further incidents. So, maintaining of building code is a must. The table represents Bangladesh as one of major fire incident destinations in the world. Bangladesh experienced the highest number of death toll who burnt to death in the decade (2010-19). Moreover, in respect of burn injuries Bangladesh also placed top position in the said decade. I am pleased to say that the head of the government is promised to take necessary steps regarding fire issue. Already, the concerned watchdog has started the move for catching up the real culprits. I hope this crucial move should be continued. But, I am sorry to say that those workers linked with apparel sectors burn to death earlier, no steps were so far taken in hand. They were the important factors of production in economy. Their role in moving the wheel of economy beggars description. Many people are struggling against fire for decades. But, their battle for survive nips in the bud due to being trapped in the -non-compliant establishments. Sadly speaking, Dhaka city has been branded as one of least livable cities in the world. The city did not earn reputation for healthy living. Its air situation for inhaling is totally unfit. For the absence of good traffic management, the commuters have to sacrifice many precious hours sitting on the vehicles. Among others, the city's establishments are frequently caught fire bringing a number of death tolls. The fire victims lose their confidence soon after fire experiencing. So, the economy is becoming weak gradually. The fire is forcing the workers to refrain from works for long until come round from burn injuries. 06) Fire fighters should be sent developed countries in order to adopt their strategies how they battle against fire and what types of equipment they use 07) Special inspection team should be formed for scrutinize fire-related papers of establishments. 08) RAJUK and Bangladesh Fire Service and Civil Defense jointly might introduce sudden drive against building code violators. 09) RAJUK should be strict in terms of providing permission letter 10) Yearly clearance certificate regrading fire safety should be renewed from concerned authority. 11) Reservoir for preserving water under every establishment should be kept 12) currently, globally used Balls named Auto fire off might be applied for douse the fire within minutes. 13) Both residential and commercial establishments have to have a number of emergency easy exists 14) every building must have landing floor for helicopter on its roof top. 15 ) construction of wider road in the commercial area is needed. To conclude, world-class firefighting equipment state above can reduce inferno. Every residential and commercial buildings must be equipped with trained fire fighters and necessary fire related logistic. The legislators have to follow the developed economies how they douse the fire within a second. If possible, a team comprising experts might visit those countries that keeps the ability to fight against fire with their newly invented firefighting equipment. As we are going to be a middle-income countries one by soon, the ruling government has to take precautionary measures regarding fire. If the nation gets secured life, the economy must be broadened in terms of growth.